In the heart of the north-east Free State, just outside the town of Frankfurt, lies the farm Palmietput. This part of the country is a landscape of sepia tones. A landscape made up of subtle, rolling hills and grassland painted with a subdued palette of rustic hues. 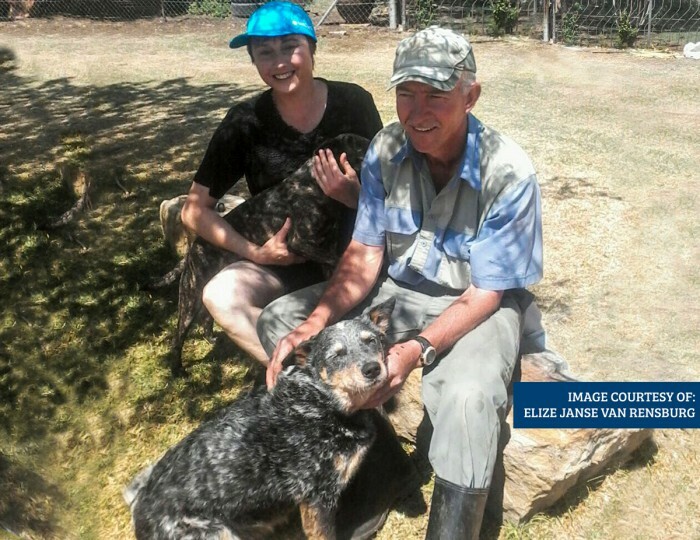 For over twenty years, Elize Janse van Rensburg and her husband, Izak, have farmed on this picturesque piece of land, providing milk for a big supermarket group and the town’s retirement home. But on 15 September all hell broke loose when a runaway fire erupted along the Heilbron road, racing along the dry grassland with thirsty red tongues, crossing the fence and tearing its way through the cattle’s wide open pastures. For a couple like the Janse van Rensburgs, leaving their beloved farm behind to the mercy of the flames was not an option. Besides, the farm is the only home of not just them, but a family of their ‘children’. There are the chief mischief-makers, two pet weeper capuchin monkeys. Then there’s Kat, a stray cat rescued years ago, and then there’s a mixed breed rescue dog called Kenzie. Which brings us to the second dog in the family — Kylie. Fast forward to 15 September 2017. “My husband and my sister-in-law, Judy, were helping to fight the fire. Her friend, Belinda, and I took the motorcycle to get some of the cattle out of the fire’s path. Kylie always follows my husband on the motorcycle, but this day she followed us. I was concerned about her safety and chased her back to the house. She obeyed, which was very strange indeed as she normally doesn’t want to miss out on any action. At this point, Elize was starting to struggle. “The smoke had become so thick that I lost any sense of direction, and I started coughing badly. I kept running but the wind kept changing direction and caused the fire to start spreading from all sides. I asked the Lord to help me, because I simply did not know which way to go, and I actually started making peace with the fact that I could burn to death that day. Elize insists that a divine hand was involved in guiding Kylie to find her that day. Of course, it’s been proven that dogs have an incredible sense of directional knowledge. On top of their exceptional sense of smell and hearing, research also points to dogs’ ability to detect the earth’s electromagnetic waves — aiding them further to find their way home. Whichever way you choose to explain it, that day Kylie found more than just the road home. 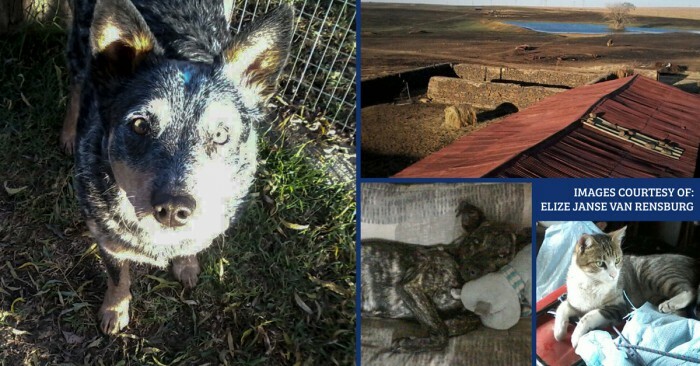 She also found new respect as the undisputed star of the Janse van Rensburg’s loving household.